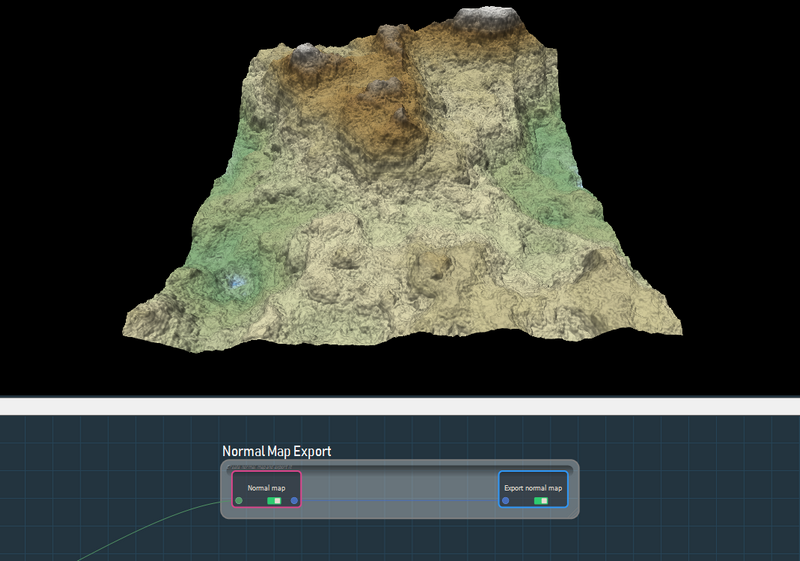 This sample extracts and exports a normal map from composed terrains. It computes the normal map to be able to add surface detail such as bumps, grooves, and scratches to a model that catch the light as if they are represented by real geometry. 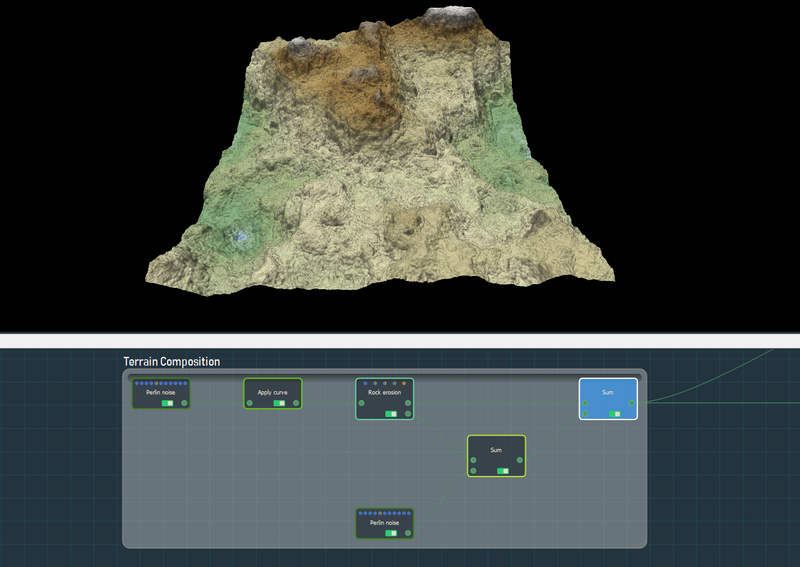 The terrain composition group sums two terrain generators, one of which is linked to a rock erosion simulation. 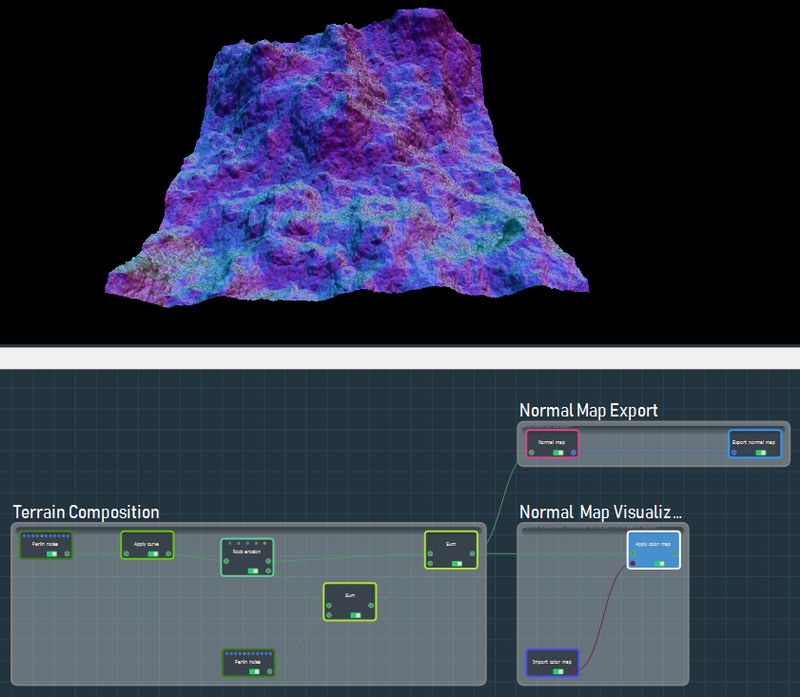 Two consecutive Sum nodes then link to the normal map export and the normal map visualization. The Compute normal map node is linked to an Export normal map node, which exports the normal map as an image. 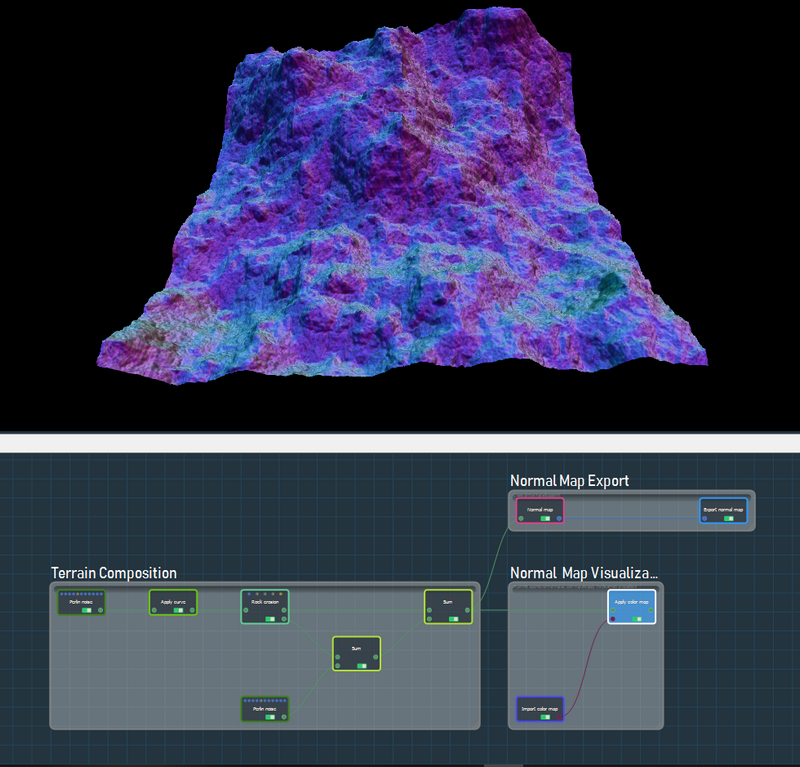 In order to view the Normal map, we can import a color map and apply it to the composition.